ULTIMA II New Counter Look! 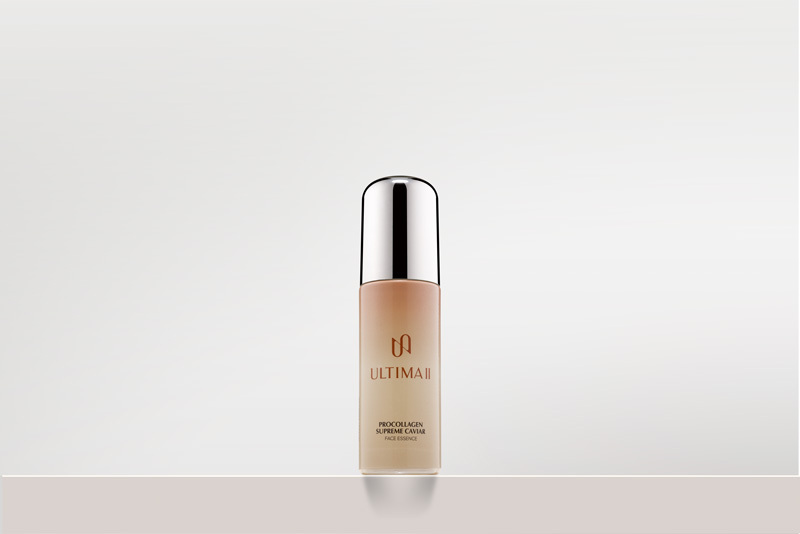 Contains Procollagen Essence of Ultima II with Caviar Complex (known as "Black Gold") and DNA Gel (from salmon soft roe), to regenerate skin cells, nutrition, and make skin feels firm, smooth, and supple. 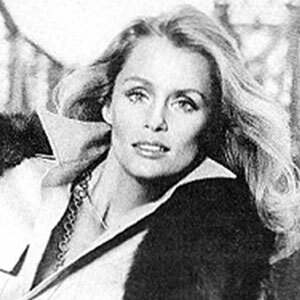 Use every morning and night after cleansing and toning. Spread evenly on face and neck, gently massage until fully absorbed. Avoid eye area. 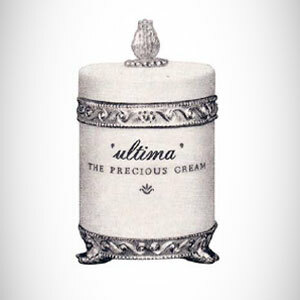 For best result, continue with ULTIMA II Procollagen Supreme Caviar Face Cream. AQUA (WATER), METHYLGLUCETH-20 PENTYLENE GLYCOL, GLYCERIN, GOSSYPIUM HIRSUTUM (COTTON) EXTRACT, DNA, HYDROLYZED ROE, HYDROLYZED CAVIAR EXTRACT, SOCCINOYL ATELOCOLLAGEN, SOLUBLE COLLAGEN, HYDROLYZED COLLAGEN, PSEUDOALTEROMONAS FERMENT EXTRACT, ARTEMIA EXTRACT, FUCUS VESICULOSUS EXTRACT, SACCHARIDE ISOMERATE, HYDROLYZED WHEAT PROTEIN, HYDROLYZED ACTIN, HYDROLYZED SOY PROTEIN, PANTHENOL, SILANETRIOL TREHALOSE ETHER, PALMITOYL TRIPEPTIDE-5, DIAMINOPROPIONYL TRIPEPTIDE-33, TRIPEPTIDE-10 CITRULLINE, TRIPEPTIDE-1, SODIUM HYALURONATE, LECITHIN, PELARGONIUM GRAVEOLENS (GERANIUM) OIL, BISABOLOL, HYDROLYZED MALT EXTRACT, PPG-26 BUTETH-26, ACRYLATES/C10-30 ALKYL ACRYLATE CROSSPOLYMER, CAPRYPYL GLYCOL, PEG-40 HYDROGENATED CASTOR OIL, XANTHAM GUM, TROMETHAMINE, PEG-12 DIMETHICONE, DIPROPYLENE GLYCOL, HYDROXYETHYLCELLULOSE, LACTIC ACID, PROPYLENE GLYCOL, BUTYLENE GLYCOL, TRIETHANOLAMINE, CARBOMER, DISODIUM PHOSPHATE, POTASSIUM PHOSPHETE, CITRIC ACID, SODIUM CITRATE, TETRASODIUM EDTA, DISODIUM EDTA, DIPOTASSIUM EDTA, PHENOXYETHANOL, CHLORPHENESIN, BENZOIC ACID, METHYLPARABEN, SORBIC ACID.